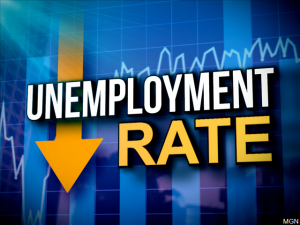 Virginia’s unemployment rate has fallen to its lowest level since March of 2008. Governor Northam’s office says the statewide jobless rate fell to 3.4% last month, down a tick from February and down a half per cent from the year before. News release: Governor Ralph Northam today announced that Virginia’s seasonally adjusted unemployment rate was down 0.1 percentage point in March to 3.4 percent and was down 0.5 percentage point from a year ago. March’s seasonally adjusted unemployment rate of 3.4 percent is the lowest rate since the March 2008 rate of 3.4 percent. In March, the labor force expanded by 4,547, which was the second consecutive monthly increase, and at 4,325,379, set a new record high. Household employment increased by 7,249, which was the third consecutive monthly increase, and at 4,178,357, also set a new record high. The number of unemployed continued to drop, declining 2,702 to 147,022. Virginia’s seasonally adjusted unemployment rate continues to be below the national rate, which was unchanged again in March at 4.1 percent.